Preparing spice powders using with many available ingredients is common. Today I explained you about the procedure to prepare drumstick leaf powder. Drumstick leaves is popularly known as Murungai Ellai(tamil). Drumstick (Moringa) leaves are very good source of Iron, calcium, vitamins which promotes strong and healthy growth of bones for growing kids. This is essential food for lactating mother when served with ghee helps increase breast milk and also helps to reduce post -delivery complication. Prepare and intake many variety of dish with drumstick leaves to lead healthy life. Samo seeds or Moraiyo seeds or "Vari Tandool" in Marathi also popularly known as Bhagar in India are seeds of a grass Echinochloa Colonum. It was formerly classified as a type of panicum grass. With digestible fibers, high nutritional content and excellent nourishment, It forms a heavy and a filling meal and used generally by North Indian Hindus on fast days. It can be easily available in all Indian grocery stores. Samo Khichdi can be served with Rajgara kadhi or Peanut Amti or goes very well simply with curd also. Here goes the recipe of Samo Khichdi. Varalakshmi Vratam is a popular Hindu Festival. In Tamil Nadu it is celebrated in the month of Aadi - Aavani(July- August), the friday before the full moon day(Purnima). It is also celebrated in other States of India like Karnataka, Kerala, Andhra Pradesh, Orissa, Maharastra. This year it falls on July 27th.This is performed among Sumangalis (married women) for the long live of their Husband's, for their progeny and good health. Goddess Varalakshmi is one among the Ashta Lakshmi(eight lakshmis) - who is ready to grant boons(varam) to her devotees and thus usually referred as "Varalakshmi". 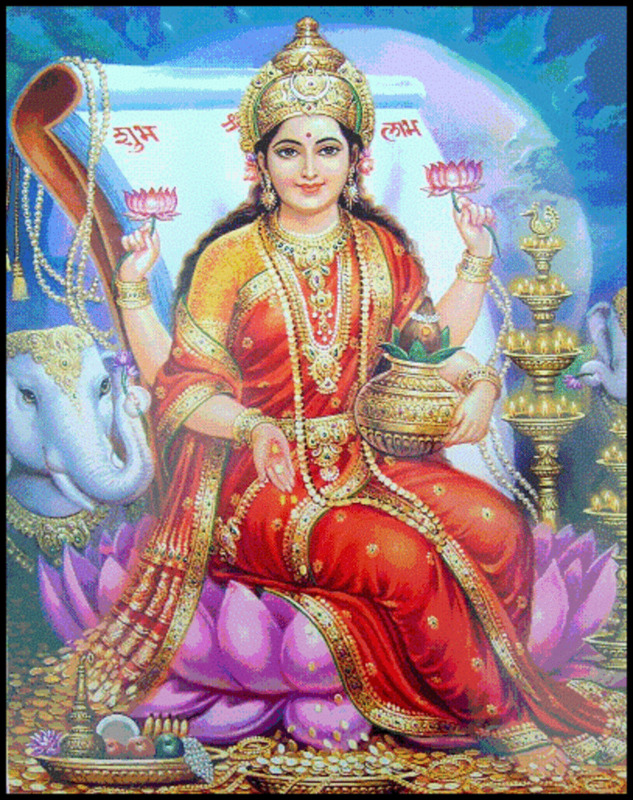 It is also believed that worshipping Goddess Varalakshmi on this day is equivalent of worshipping Ashta lakshmi. Paanagam is made for all fasting festivals. 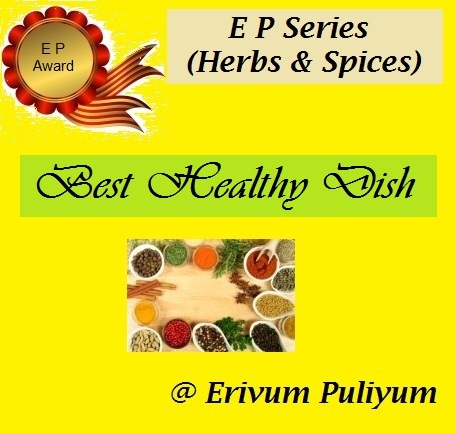 Paanagam with its ingredients is known for its medicinal properties. This serves as a refreshing drink when one is in fasting. The cooling properties is very good for a fasting stomach. It also helps to get rid of the tiredness. This can also be served as a cooler for summer. Make this Paanagam as a neivedhiyam for the god on a fasting day and get the blessings of god. Thayir Vadai is again a popular Indian Dish. It is known as Dahi Vada(in hindi) and perugu garellu(in telugu). Thayir vadai is nothing but soaking Vadai in thayir/curd/yogurt. It is then served chilled with some chutney. Medhu Vadai is the commonly made from which many forms of new recipe like Thayir Vadai, Rasam Vadai, Sambhar Vadai and so on is prepared.... This is really super simple and delicious snacks and off course when combined with curd gives calcium, magnesium and some Vitamins too. Perfect food for all age group and delicious filling food. The taste of this recipe will be melting as it is being soaked in curd/yogurt for few hours. Try this and send feedback. Ulundu Vadai is almost popular among all over India. This is made especially during festival times or any special occasions. This is entirely high protein rich snacks made with whole ural dal/ lentil. Making this type of vadai required less time with few points to be remembered everytime to make good vadai. Follow the procedure and prepare it for festivals, serve for god, get the blessings and enjoy with family. Nei Appam is a sweet made for many fastings and festivals like Karthigai deepam. Varalakshmi Nombu or Vratham is a fasting followed by married women from various parts of India. Tomorrow (27 Jul 2012) being Varalakshmi Vratham we are sharing with you the recipe of Nei appam which is so easy to make on a fasting day and also a perfect food for a fasting taste bud. We will be coming up with more Fasting recipes tomorrow for you to make during the Vratham. Make this Nei Appam for the fasting following the easy method given. Methi Besan is a traditional Gujarati recipe. A dry vegetable prepared using a combination of fenugreek leaves and Bengal gram flour tossed with spices.Very easy and quick to make as well as super healthy subji. Here is a recipe to prepare Methi besan. Do you want to munch something crispy for a rainy day or munch something for a movie evening make this ribbon murukku following the steps given. The process may look lengthy but the end product the crispy murukkus will mouth water you. Your loved ones will ask for more and more. Learn how to make this ribbon murukku here. Kache Kele Ki Sabji is very popular among Northern part of Indian. During shravan and navratri period they make different types of vrat recipes. This is one among of the recipes. As we said every monday we will be posting some fasting recipes for this whole shravan month to benefit you with new recipes. This dish will be sour and spicy in taste. Learn how to make this quick and simple Plantain recipe by following this easy steps. I have always wondered what is it in rajgira that makes it such a favourite on days of fasting although being a grain? Well, it is botanically a ‘non-cereal’. Secondly, it has enormous nutrition such as lysine, the one essential amino acid that is hard to find in vegetable protein sources. What is good too is that when you combine rajgira with another grain like corn you end up with an amino acid balance which is richer than even meat and milk. It makes enormous nutritional sense therefore to use this super non-cereal on fasting days. This grain immensely for its great powers and felt grateful to God for its benefits. They named it ramdana (God’s grain) and rajgira (royal grain)The English name of the grain is amaranth. And believe it or not the word originates from the Sanskrit word, which means ‘deathless’. The soya beans are excellent source of protein and is known as spice of legumes.Here today in this recipe I used dried white soy bean and you can use any variety of soya bean fresh or dried - white, red or black. This dish is a good source of protein especially for vegetarians,vegans and kids. The intake of soya bean prevents from heart disease, reduce risk of osteoporosis, amino acids in soy combines well with cereals such as wheat, corn, rice. Many forms of soy bean are used as soy milk, tofu, tempeh, nuggets and so on... Prepare this variety of snacks as after school snacks or as lunch box option. 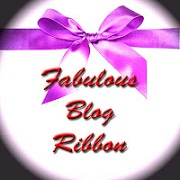 Happy to receive this fabulous ribbon.Thank You Kavitha from Kavi's Kitchen for awarding and honoring us with this "Fabulous Blog Ribbon". Kavi has got a beautiful site with oodles of recipes and must visit to know her delicious taste of foods. Do drop all your visit to her site and encourage her in blogging.Happy blogging Kavitha!!!! Deep fried veg dumpling in yogurt gravy has its traditional name Kadhi Pakoda in North India. Kadhi pakoda occupies a special and important place in all north indian kitchen. It is cooked in various ways by making different kind of pakoda. Here i tried red cabbage and carrot in dumpling and it came out really delicious. Here comes the recipe of kadhi pakoda. I always love to prepare one pot dish as it is simple and super quick process yet healthy filling food. This way I tried combination of wheat rava and toor dhal to make delicious vegetable masala bhath. This is really tasting tangy lemon flavor with blended taste of dhal and wheat. This recipe is spiced with homemade sambhar powder and nothing more is added to flavor. Try this healthy wholesome masala bhath for weekend lunch and finish your cooking process soon to enjoy food with family. Fresh Coriander leaves are rich source of vitamins and minerals. They are also rich in thiamin, riboflavin, vitamin C, phosphorous, iron, calcium, niacin, sodium, carotene, oxalic acid and potassium. Many of us dont know all the benefits but use these unknowingly in small amounts (like garnishing) in our daily food which is for good. Coriander Rice is one of the tasty rice variety which is also so easy to prepare. This is my version of Coriander rice that turns out so yummy. 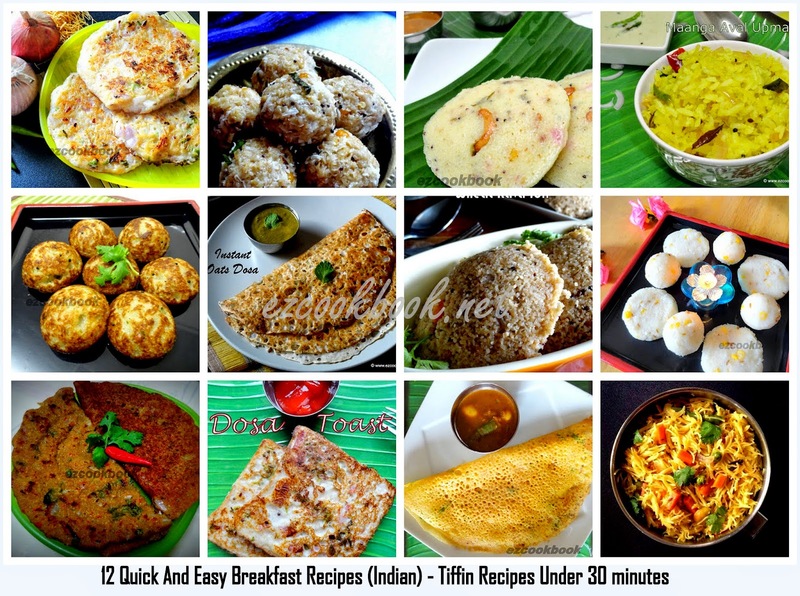 Prathiba has got a wonderful site with very nice recipe collection at http://cook-ezee.blogspot.sg. Do visit her site to know about all her wonderful recipes. Congrats to other winners also. A Taco is a traditional Mexican dish composed of a corn or wheat tortilla folded or rolled around a filling. It can be made with a variety of fillings, including beef, chicken, seafood, vegetables and cheese, allowing for great versatility and variety. I choose the fresh garden veggies with protein filled baked beans to fill the taco shells. Try this veg recipe of tacos to make delicious Veggie Baked Bean Tacos. Tasting Soya for the first time probably to say really not up to the mark but once tried with cooking different kinds of recipe I truely started loving to use it regularly. It ultimately made me to explore with new dishes-I tried wraps, gravy, sandwich, biryani and will be updating all recipes soon. If you are not a fan of soya chunks /nuggets then start using it with this yummy gravy. This is really super dooper hit @ my home. Preparing this recipe doesn't require much process and its very simple, healthy, tasty, rich gravy goes well with all Indian Flat Breads. 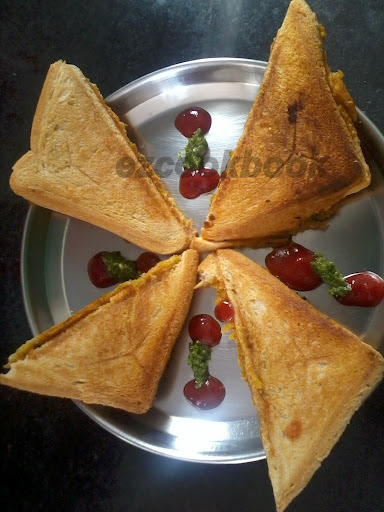 Guest Recipe By - Avani Upadhyay. Thank you Avani for sharing your recipe. Peas Potato Sandwich perfect for kids lunch box as its very healthy and delicious. I am sure kids will love this sandwiches and ask more and more. Learn how to make Peas Potato Sandwich here. My one among all time favorite finger food is Fried Podi Idli. Purposely I use to prepare some extra Idli and use the leftover to make this yummy spicy delight. This serve as a perfect evening tiffin with coffee/tea. Whenever we go to any Indian Restaurant for dinner my daughter loves to have mini Idlies so I bought mini Idli making moulds from supermarket to satisfy her by making at home. This dish I prepared with leftover mini Idli. You can simply make with normal Idli, cut into small cubes and fry along with onion, Idli chilli powder along with aromatic curry leaves touch. 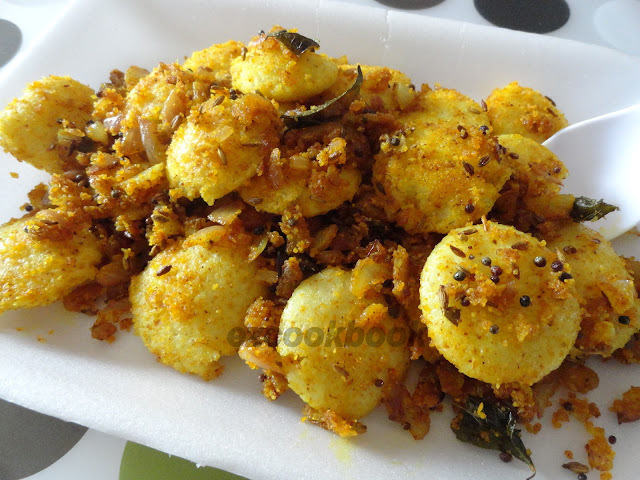 This can be made as quick as in 5 minutes if you are ready with Idli. Sesame Seeds chutney is one of the condiments that goes best with any South Indian breakfast like idli, dosa, pongal or upma. It is also easy to make and so delicious. Make this easy to make sesame seeds chutney following the method given. Chana chaat is a very famous and healthy chaat available in Mumbai roadsides. Although chaats are very mouth watering but normally we avoid to eat chaat outside just becuase they are unhealthy and unhygienic. But this Chana Chaat recipe will surely take care of your health and your taste buds too. Here I have tried to hide all healthy stuffs inside the wrapper in form of Chana Chaat Wrap just to please my kid. Follow the steps below to make lip smaking Chana Chaat Wrap. A Tangy rasam made with citrus fruit and is a replacement from traditional tomato rasam. This rasam can be enjoyed with hot cooked rice by munching appam as a side. Omg truely its mother watering for me while writing and wat about You? don't you feel to taste it!! then try this very light, tangy spiced broth made with lemony flavor south Indian recipe.Moong dhal is cooked and mixed with freshly ground spice paste with lemon flavor. It can be had just like soup and healthy homemade recipe perfect for weekend lunch menu. Sizzle up any of your favourite vegetables dipped in a spicy Schezwan sauce. Serve Schezwan Vegetables with fried rice or hakka noodles and complete your meal in delicious Indo chinese cuisine. follow the recipe here. Schezwan sauce is treat for Spicy lovers. It can be used with variety of delicious Indo Chinese recipes i.e fried rice, noddles, vegetables, starters or anything you can imagine. Here is a recipe to make yummy and delicious Schezwan Sauce. Puliyodharai is a quick south Indian delicacy which serves as a perfect meal for lunch box, picnic /travel time food since the rice will be good to eat even after long time. This is very simple version and soon I will post recipe for how to preserve tamarind sauce?. The color of the rice may vary depends on the usage of tamarind. I always love to have it with cooked Chickpea sundal with it. This recipe is specially for people who are new to cook. This is also prepared as festival food for serving as god's prasadam. Lets look out for an easy to make snacks with puffed rice. This will be a perfect snack for a rainy day. The smell while cooking will invite your family members to the kitchen. When I was a kid I ask my mom to make this snack often. Make this kara pori or garam pori to enjoy your snacks on a holiday evening for a movie.